Bayswater Service Centre offer vehicle servicing & repairs for all makes and models and are Subaru & Volkswagen specialists. Chris and the team are really passionate about doing a fantastic job; honesty & reliability forming the core of their business values. For the new website we created an entirely new look while maintaining their traditional colours and business logo. In addition to the modern layout the new website is mobile friendly and easy to use, ready to be the centre of other marketing activities. The map and phone number are prominent as is extremely important for local service businesses. 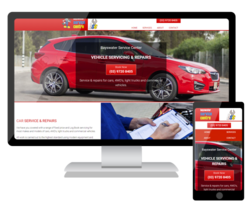 Be sure to check out the website, and when you are due for your next car service give Chris and the team a call.